MaxSold removes your biggest obstacle - the contents of a home - so you can get it on the market, or clear it for the closing quickly. We make it simple with any-size sales. Just a phone call and contract will get you the MaxSold local expert help. Our job is to make YOU look good with our 11-Day from contract to complete, clearing 98% or more of the home - from everyday items such as furniture, art and collectibles to cars and even garden tools! No actors and no scripts. Just honest on-the-spot testimonials from our happy partners. Send us a referral and we'll reward you with $50. Even better, we'll give your referral $100 OFF our service. Spring Promotion: Sale must be completed by June 21, 2019. Limited to 400 clients - first come, first serve. For every referral that signs up and completes a MaxSold Auction. $100 OFF our service when signing up and completing an auction. Giving your code to someone? It's the first two letters of your last name and the last four digits of your phone number. Eg. Code for John Smith 230-555-2231 will be "SM2231"
To ensure there is no misunderstanding between us, there are a few terms and conditions. Spring Promotion: Sale must be completed by June 21, 2019. Limited to 400 clients - first come, first serve. We encourage you to share the Seller Referral Code to your social networks, but it cannot be posted on any of MaxSold's social media channels or MaxSold's review sites. If you do, we will have to deactivate your unique Seller Referral Code an any existing referrals owed will not be paid. Although we want you to refer us to everyone, each participating referred person is only eligible for one discount in this promotion and cannot combine this discount with other promotional or referral programs we offer from time-to-time. But, you, as the holder of the unique Seller Referral Code, can earn your part of the discount for anyone who has not had previous repeating sales. The discount can not be applied against an auction in progress, a completed auction, or an existing contract for a future auction. Ensure you mention to your referred network that they need to enter the Seller Referral Code at the time of signing up for their auction. To be eligible, the referred person has to be in good standing with us. We have the right to change or cancel the promotion at any time. We will pay your referral fee within two weeks of the auction pick-up date. Your referred person will see their discount on their auction chattel report. Sale has to amount to at least $1000. Referral must come from an existing seller, buyer, non-office team member or MaxSold professional partner at the time of referral. Watch a video from Barry Gordon, the MaxSold founder, on how MaxSold can help clear the contents of a home in less than 2 weeks. Using our MaxSold Managed option, you would take care of the client setting up for the auction. MaxSold would then come in to complete all the cataloging, photography, product marketing, deal with potential buyers and handle the collection of payments. 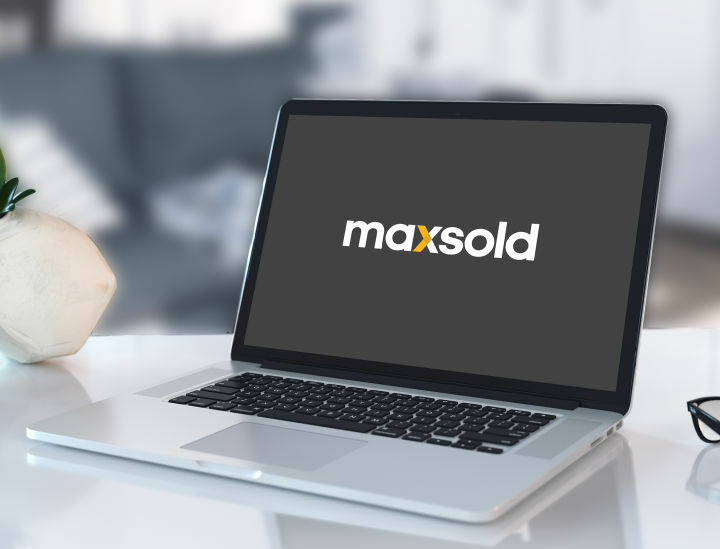 Using our Seller Managed option, you give the client the most cohesive experience while using MaxSold as the sale of goods platform to clear the home. Once the client knows what is for sale, you can use our app with just yourself and/or your team to catalog the items and upload them to our server. MaxSold provides the product marketing, deals with potential buyers and handles the collection of payments. With our process, 98% of everything listed sells within 2 weeks. No haggling with individual buyers, no dealing with money at the door and no one coming through your clients home unattended to look at the items they may never buy. We are as transparent as possible, giving a detailed report of every item and what it sold for. Your client will be paid within 14 business days of the auction closing. From start to finish, the process takes 2 weeks and can be even quicker if needed. In that timeframe MaxSold sells, on average, 98% of everything listed. MaxSold leaves all past auctions available to view on our website and gives the seller a detailed report of what sold, who purchased it and how much they bought it for. Unlike a traditional estate sale, buyers of a MaxSold auction only come to the sellers home once the items have been paid for. With competitive rates and only a 30% commission, MaxSold is a low cost sale of goods service. MaxSold sells almost anything you can find in a home. From cleaning supplies under the sink to cars in the driveway, you can clear a whole house easily. MaxSold buyers are escorted by either a MaxSold team member, or a professional organizer the entire time they are in a sellers home. We don't even have to publish the address of the auction if that is a preference. Whether a seller is interacting with a MaxSold team member on the ground, a member of our support staff or a partnering organizer they are sure to have a pleasant experience. We sell everything, no "cherry picking"
MaxSold doesn't "cherry pick" items so sellers can include almost anything they wish to sell. MaxSold will also send an auction draft to each seller to edit any descriptions, take away items they've made other plans for or even add photos. Every aspect of the MaxSold process has been carefully designed to minimize hassle and maximize clear-out and profitability. We only need access twice. Day 1 for the cataloging and photography, and Day 9 for pickup during a professionally supervised 3-4 hour window. You can hire our team to do these on-site functions, or do them yourself. Our team will send the digital catalog for you to review. You will have this opportunity to correct any errors and augment descriptions before the auction goes live. Sellers love the paper trail and the transparency of the entire process. There is a record of everything! No wonder estate attorneys and estate executors love MaxSold. Auction will open on MaxSold. Buyers will be notified through our eNews and social media. Our marketing department will also advertise on estate sales sites and online classifieds. MaxSold gets 14 Million monthly page views (and growing). We have 100,000 Facebook followers and the largest network of buyers who are dealers, resellers and collectors to get you the most exposure to your items. Bidding gets most intense in the last 15 minutes of closing. Payments are collected online. You can even follow the closing of the auction from the comfort of your home to see the excitement unfold online. Pickup happens during a professionally supervised, unintrusive 3-4 window. Buyers come with invoices and identification in hand to collect the items they would have already paid for. No money is exchanged on-site. Even gated communities and condos approve this process due to the tightly organized pickup. No hassles. Items sell themselves. No emailing potential buyers and having to wait around for them to show up. Everything is gone on a specific date and by and specific time. You and your team did in a short period of weeks what we've been trying to do for many years. This property and all of its contents have a huge sentimental value to us and we really appreciate the careful sorting, organizing, lotting and ultimate clean up. Your rep was very pleasant and thorough explaining the auction process and answering any questions that I had. She has my thanks. The auction final results far exceeded my expectations. The total amount sold for over twice the amount that I was expecting. Your staff was very efficient and friendly and I can't thank them and MaxSold enough for all that you have done for me. Thank-you very much. Super reps...very helpful and efficient. When is MaxSold an Ideal Fit? We can still help. Just call us! Take a peek at how our auctions have performed. Discover the 10 weirdest things we've ever sold. Low fees for big results. Get tips and tricks from the pros on downsizing and sales. Tips, tricks, and online tutorials. A collection of unique stories demonstrating what makes MaxSold so special. We have distilled over 50 years of product knowledge and experience from selling over 250,000 items into this one-hour information packed Webinar.